Most American’s familiarity with Spanish cheese lies somewhere in the realm of understanding of Spanish wines a decade ago. Ask anyone then to name a Spanish wine and the response was invariably “Rioja.” The undisputed Queen of Spanish cheese, Manchego, would likely be the response to the same question today regarding cheese. Are you a true turophile? How many Spanish cheeses have you tried or can you even name? Spanish cheese (Spanish “queso” or Catalan “formatge”) is considerably more available today than in years past yet many fear that with which they are unfamiliar (likely because Spain is not a world leader in cheese production). Read on, nonetheless, and allow those fears to subside; but first things first. Before we start eating – well, devouring – the delectable cheeses from Spain an introduction is in order. A little history, some words on the animals and their geography, and proper preparation and service will better prepare one to enjoy the gastronomic tour of Spain’s cheeses on which we are about to embark. The Romans are recognized as developing cheese-making techniques and would have brought them to Spain during its colonization in the 2nd century BC. It is likely, on the other hand, that cheese was being produced in Spain even prior to their arrival. During the Middle Ages, cheese consumption was fairly widespread; in monasteries, the production of some of the best-known cheeses originated. Shepherds generalized cheese production as it was one of the most bountiful products available. With this history, it may seem a bit surprising that Spanish cheese has not penetrated the world table as have those of France or Italy. Franco’s dictatorship (post-Spanish Civil War) outlawed the production of artisan cheeses as a snub to modernization and industrialization. Fortunately, as was true with wine-makers during prohibition in the US, many cheese-makers went underground and continued to create and perfect their craft. After Franco’s death in 1975, these artisans were able to come out of “hiding” and revive their traditions; and we are the better for it. Unfortunately, many cheeses disappeared completely as a result of Franco’s restrictions, but we have been left with a plethora of amazing ones from which to choose. When Spain was in the process of joining the European Union it began introducing the “Denominación de Origen” to classify premium food products (much like that of the Spanish wine industry). Of the more than 100 Spanish cheeses currently in production 27 have been designated as “Denominación de Origen Protegida” (DOP) or “Indicaciones Geográficas Protegidas” (IGP) (Source: Gobierno de España). Each board regulates the geographical environment, the raw materials and products produced, and the human influence in the finished product. Finally, each product of a DO is labeled with the DO logo and a number, making each cheese a unique item. Spain produces cheese virtually all around the country. Geographic differentiations, as well as climatic variations, dictate which cheeses will be produced; and farming traditions (both old and new) play a significant role in the process. Cheese in Spain is made from sheep, goat, cow, or a mix of any two or all three. Although a full range of cheese is produced around the country – fresh to cured, fermented to blue-veined – certain areas tend towards greater success than others. Along the northern (Cantabric) coast, from Galicia to Pais Vasco, and along the northern mountains, cow’s milk cheeses dominate. 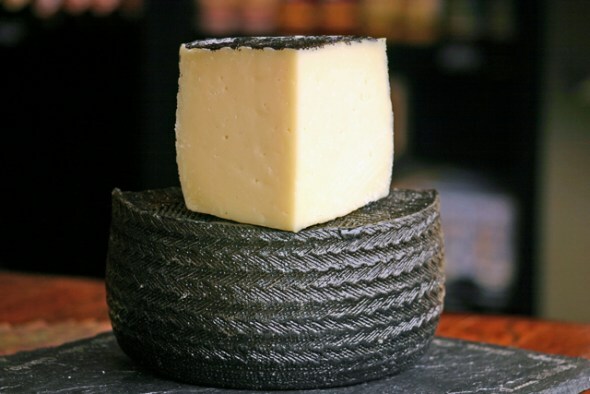 One finds predominantly sheep’s milk cheeses inland from the north (Cantabria and Pais Vasco) down to Castilla-León, Castilla La Mancha, Aragón, and Extremadura. Along the Mediterranean coast goat’s milk cheese prevails – from Cataluña to Andalucia. The Canary and Balearic Islands produce mostly goat’s milk cheeses, but one also finds cow as well as mixed milk cheeses. Finally, mixed milk cheeses are produced around the country with, normally, the dominant animal’s milk carrying the heaviest percentage of the final creation. Cheese should be stored in a cool, dry place (like a refrigerator). Ideally, when storing cheese place it in an airtight container (I use a vacuum bag and remove the air). This helps to preserve the cheese as well as retard the growth of mold. Remember, however, that mold is not the end of your cheese. You can cut off the affected part and on a semi-soft cheese wipe away with a damp cloth. Most cheeses from Spain will keep for a couple of months if correctly stored. Prior to serving the cheese allow it to come to room temperature. There really is a rhyme and reason to serving (Spanish) cheese. The type of cheese dictates how you should ideally slice it. Semi-soft cheese such as Manchego, Iberico, or Mahón should be cut into thin slivers with the rind left intact (primarily for visual effect), although it is not to be eaten. 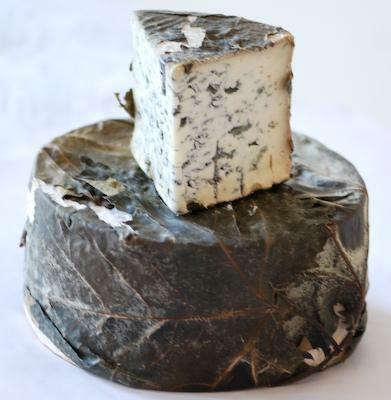 The amazing Asturian blue cheese, Cabrales, should be served as a large wedge to allow guests to help themselves to a chunk with a knife. If serving a variety of cheeses on the same platter it is recommended to serve them in order of mildness so guests can adapt their preferences and tastes accordingly. You may also wish to serve the cheeses with a variety of accouterments: fresh bread, crackers, fresh fruit, membrillo (quince paste), or a light drizzle of honey. Finally, contrary to what one might think, there are a vast variety of wines to pair with Spanish cheeses. As we venture through the lands of goat, cow, sheep, and mixed milk cheeses, we will explore a variety of delicious Spanish wines (both red and white) to pair with the feast. So sit back, grab your cheese board and wine glass and prepare for a fantastic and delicious journey through the world of Spanish cheese. And if the mood strikes, keep reading our five-part series of sumptuous Spanish cheeses, or come join us in Spain for a sumputous tour of Spanish Cheese! Do a Spanish food tour with Catavino!